Cancel your plans because a special Hawaiian episode of Travel Guides is airing on Channel Nine tonight! The quirky cast, including the Fren family, retired couple Kevin and Janetta, twin cowgirls Stack and Mel, uni students Kev, Dorian and Teng and married couple Deepesh and Sage, spent eight days visiting Oahu and the Big Island. In keeping with the programme’s format, The Travel Guides didn’t know they were going to Hawaii until they were heading to the airport or at check-in. For many it was their first time to Hawaii, they learned to surf at Waikiki, experienced the outdoor adventures at 4000-acre Kualoa Ranch on Oahu and went zip lining on the Big Island – among plenty of hilarious adventures. 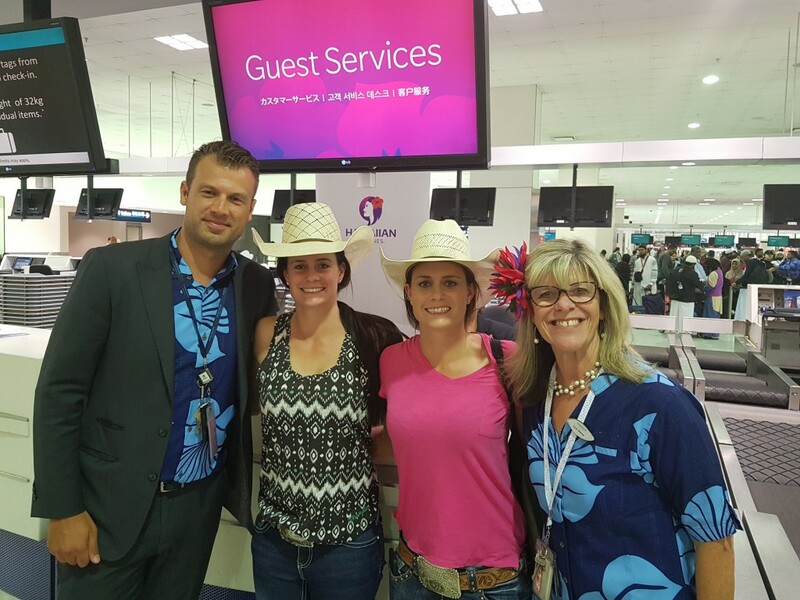 Check out a sneak preview of the twin cowgirls enjoying the hospitality of Hawaiian Airlines here. The program will air on Channel Nine on Tuesday the 5th of February at 9:00pm.